Aristotle's account of female nature has received mostly negative treatment, emphasising what he says females cannot do. Building on recent research, this book comprehensively revises such readings, setting out the complex and positive role played by the female in Aristotle's thought with a particular focus on the longest surviving treatise on reproduction in the ancient corpus, the Generation of Animals. It provides new interpretations of the nature of Aristotle's sexism, his theory of male and female interaction in generation, and his account of inherited features. It also discusses a range of more general issues which can and should be re-examined in light of Aristotle's account of female animals: his methodology, hylomorphism, teleology and psychology. 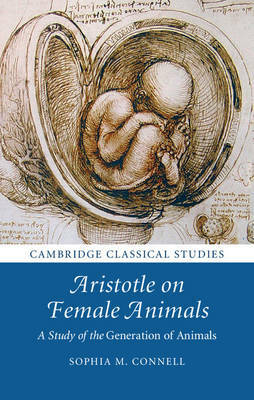 Aristotle on Female Animals will be valuable to all those interested in Aristotle's philosophy and the history of gender.